On the 14th March 2017 the 2nd Battalion Royal Gurkha Rifles (RGR) were presented with their medals for service on Operation TORAL by the Colonel in Chief, HRH The Prince of Wales and his son HRH Prince Harry. The event took place in the Ballroom at Buckingham Palace. 2 RGR were deployed to Kabul on Operation TORAL, the UK’s contribution to the multi -national coalition helping Afghanistan take control of its own affairs, between April and December 2015. 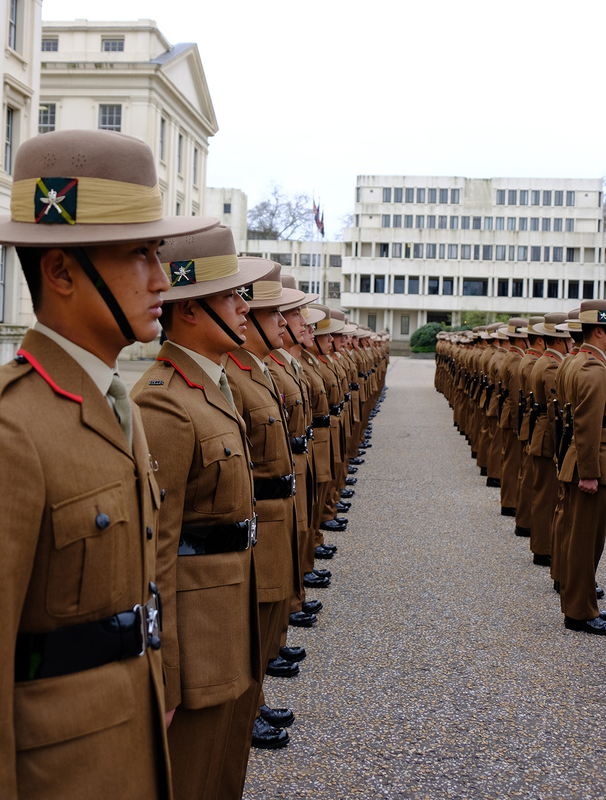 Approximately 300 Gurkhas were in Kabul to conduct a number of non-combat roles such as advising Afghan ministers and senior officials on security issues and mentoring the instructors at the Afghan National Army Officer’s Academy. In addition to this the Battalion also provided the lead element for the Kabul Security Force. 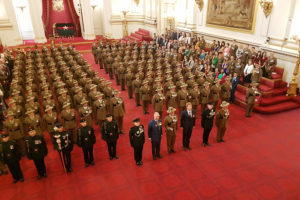 Prior to the medal presentations the Battalion was led by the Band of the Brigade of Gurkhas from Wellington Barracks across to the Palace, over the forecourt and into the inner quadrangle before falling out and moving into the ballroom. The event also marked that this is the 40th year that HRH The Prince of Wales has been Colonel in Chief of 2nd King Edward VII’s Own Gurkha Rifles (2 GR) and then The Royal Gurkha Rifles from 1994. 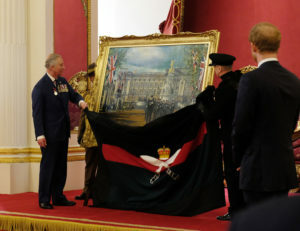 A painting was unveiled featuring an image of the Royal Gurkha Rifles marching outside the Palace in 2015 as part of the bicentennial celebrations. Prince Charles was presented a photo book to commemorate his time as Colonel in Chief. The book is a collection of images collated from 1977 through to the present day of his visits and engagement with the Gurkhas around the world including; visits to Hong Kong, Nepal, Shorncliffe and eating snake Gurkha style for the first and apparently last time in 1979. Prince Harry has had a long association with the Gurkhas since accompanying his father on a visit to 2 GR on Salisbury plain in 1990. 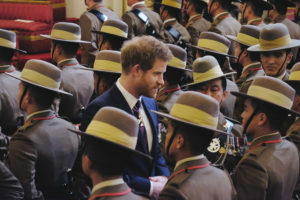 Gurkhas are involved with the training at the Royal Military Academy Sandhurst and Prince Harry would have experienced training with the Gurkhas during his time there. He then went on to serve with the first Battalion RGR during his tour of Afghanistan in 2007-8.